On 4 February, about a week before former president Hosni Mubarak stepped down, the protests in Tahrir Square started to spread throughout the country with a small one held that day by members of faculty of Cairo University. The protest was led by Essam Sharaf, the former minister of transport, who earlier today was appointed as the country’s new prime minister after Ahmed Shafiq's resignation. The protesters marched to the Parliament, the Upper House and cabinet headquarters with Sharaf leading the chants calling for Mubarak to step down and the parliament dissolved. Sharaf’s rare stance towards the revolution has made him popular among many of the youth revolutionaries. In fact, when the January 25 Youth Coalition held a meeting with the Supreme Council of the Armed Forces last week, Sharaf’s name was up there with Ahmed Zuweil, Nobel Prize Winner and world renowned scientist, Farouk El Baz, former prime minister Kamal El Ganzoury and Ahmed Goweily, minister of internal trade and supply, as possible candidates for prime minister. Many of these public figures are known for publicly speaking out against the Mubarak regime, its corruption and authoritarianism and the revolutionaries feel they are better equipped than Shafiq, who was handpicked by Mubarak, to lead Egypt in the interim period. The 59 year old Sharaf was born in Giza and earned a degree in engineering from Cairo University in 1975. Sharaf worked briefly as an assistant lecturer in the university before heading to Indiana in the US, where he studied at Purdue University and earned his Masters degree and a PhD in transport engineering. Egypt's new prime minister holds two engineering degrees from Purdue University, and one of Essam Sharaf's professors said to AP that his ex-student is the kind of honest, progressive leader the Middle Eastern nation needs today. Sharaf came to the West Lafayette school in 1978, earning master's and doctoral degrees. He did post-doctoral work in highway infrastructure management. Sharaf returned in 2006 to receive the Distinguished Engineering Alumni award. Engineering professor Kumares Sinha says his ex-student brought his family with him and told his sons "it all started at Purdue." Sinha calls Sharaf "a man who can change things" and "wants to advance the Arab world." Sharaf returned to Egypt where he resumed work as an assistant professor of Highway and Traffic Engineering in his alma mater. He also worked for 20 years as a consultant on traffic engineering for the UAE. In 2004, Sharaf was appointed minister of transport, but resigned his post in 2006 due to the high level of corruption he witnessed inside the ministry. In 2007, Sharaf, along with his friends Zuwil and Baz, established the Science Era Association. 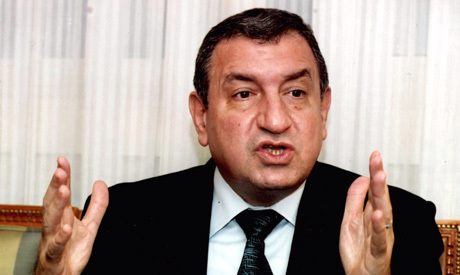 Egypt's first post-revolution prime minister also played a big role in the Engineering Syndicate, which has had a judicial sequestration imposed upon it since 1995. A committee, appointed to investigate corruption within the syndicate, asked for the creation of another committee headed by Sharaf. The request was rejected and it was only after a protest by engineers that Sharaf was appointed. However, it did not take long for him to be sufficiently disgusted by the corruption there too for him to resign. Sharaf is well known to hold a strong stance against normalization with Israel, insisting that the Israeli-Palestinian crisis needs to be resolved before there is any economic cooperation between Egypt and Israel, including scientific research. Despite Sharaf’s critical attitude towards the former regime, he was a member of the policies committee in the National Democratic Party. Said Mahmoud, a worker and activist in the Egyptian National Railways, says that Sharaf was considered a good minister in the transport sector and was known to listen and respond to the grievances and demands of the employees. "He was good as minister of transport but he didn't stay long in his post. That has been always our problem, a good minister never stays long," Mahmoud said. "He raised our salaries and removed several officials from the administration who were not popular." Hamdi Al-Tahan, the former president of the transport commission in parliament, remembers that Sharaf gave special attention to the public companies of containers that operate in many ports, insisting they be accorded the same rights as private companies, especially those in the free zones. "Their profits exceeded what was planned," explains Al-Tahan. Al-Tahan adds that the new prime minister was a man of science who was known to systematically study a problem and consult expert opinions before making any decisions. "He is a man of science but he also knows how to apply his science on the ground and he is very active," says Al-Tahan. "He didn't stay long in his post because the environment does not suit people like him. He refused to obey orders that he didn't believe in. He was very direct and never made deals under the table or accepted commissions." The protest was led by Essam Sharaf, the former minister of transport, who earlier today was appointed as the country’s new prime minister after Ahmed Shafiq's resignation. The protest was held by the Parliament, Upper House and cabinet office with Sharaf leading the chants calling for Mubarak to step down and the parliament dissolved. Sharaf’s rare stance towards the revolution has made him popular among many of the youth revolutionaries. In fact, when the January 25 Youth Coalition held a meeting with the Supreme Council of the Armed Forces last week, Sharaf’s name was up there with Ahmed Zuweil, Nobel Prize Winner and world renowned scientist, Farouk El Baz, former prime minister Kamal El Ganzoury and Ahmed Goweily, minister of internal trade and supply, as possible candidates for prime minister. Many of these public figures are known for publicly speaking out against the former government and its corruption and lack of reforms and the revolutionaries feel they are better equipped than Shafiq, who was handpicked by Mubarak, to lead Egypt in the interim period. The 59 year old Sharaf was born in Giza and earned a degree in engineering from Cairo University in 1975. Sharaf worked briefly as an assistant professor in the university before heading to Indiana in the US, where he studied at Purdue University and earned his Masters degree and a PhD in transport engineering. In 2004, Sharaf was appointed minister of transport, but stepped down from his position in 2006 due to the level of corruption he witnessed inside the ministry. In 2007, Sharaf, along with his friends Zuwil and Baz, established the Science Era Association. The prime minister also played a big role in the Engineering Syndicate, which has had a judicial sequestration imposed upon it since 1995, under the assumption that it was being taken over by the Muslim Brotherhood. A committee, appointed to investigate corruption within the syndicate, asked for the creation of another committee headed by Sharaf. The request was rejected and it was only after a protest by engineers that Sharaf was appointed. However, it did not take long for him to be sufficiently disgusted by the corruption in his midst for him to resign. Sharaf is well known to hold a strong stance against normalization with Israel, insisting that the Israeli-Palestinian crisis needs to be resolved before there is any cooperation between Egypt and Israel, including scientific research. Hamdi Al-Tahan, the former president of the transport commission in parliament, remembers that Sharaf gave special interest to the public companies of containers that operate in many ports, insisting they are accorded the same rights as private companies, especially those in the free zones. I as well as others have a severe problems with egyption missions in USA .The details we are treated hardly to try to solve our problems financialy .in short we can not pay the expences of our education since 1983-1988 9( 1/2 of it is peace fellowship.THe details are known educational culture Bearue in USA.SO,Dr Sharaf,you are a man of heart and all the millitary committe are caring about egypt and the 25TH of Jan revolution with the help of Allah were abole to get red of the corrupted regiem for good.Mr prime minster ,I am suffering a lot,I need your help for my familly and for the sake of allah. Dr. Sharaf, I just want to congratualte you about the achievements you have carried out so far despite time constraints. Thank you so much for the endless efforts you are exerting and I hope this approach continues for our beloved Egypt. الموضوع: تمليك الاراضي للشباب او آبناء سيناء في مصرنا الحبيبة لا بد ان ينص في عقد التمليك ان البيع ممنوع وفي حالة البيع ترد الارض الي ادولة فورا ولا يكون انتقال الارض للغير إلا عن طريق الميراث أو الهبه بعد الممات وللاقارب من الدرجه الأولي فقط. حتي ندرأ خطر استيلاء تجار الأراضي والاخرين علي المساحات المخصصة للشباب وابناء سيناء. حتي لا تحدث كارثه ثم نندم بعد ذلك حيث لا ينفع الندم. ولسيادتكم جزيل الشكر. I was your roommate at Purdue University now living in Jeddah. When I saw your name in print I thought Sharaf was a common name in Egypt, but later I was stunned when I read your Bio that confirmed my former roommate in now Prime Minister of Egypt! Contratualtions and Good Luck!